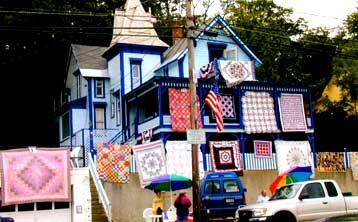 One of the only outdoor quilt shows in the country, celebrating the creativity of Quilters. 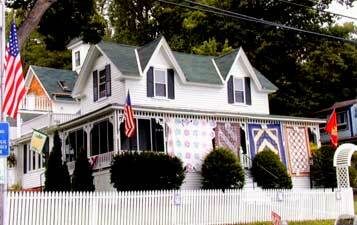 The beautiful quilts were hung from the porches of the Victorian homes and the buildings of the New Hampshire Veterans Association lining Lakeside Avenue in Weirs Beach. Held annually from 2001-2005, the show is currently on hold, due to lack of an organizer. 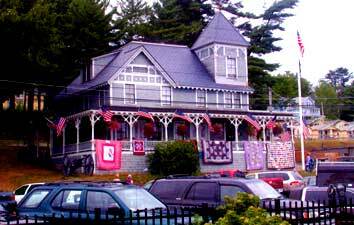 However, Weirs Beach still has a “Quilt Connection”, the Quilted Frog (603) 366-5600, which sells DIY books, fabrics, and supplies.